Hawk Walk Experience: NOTE - All our experiences are carried out in the afternoon. 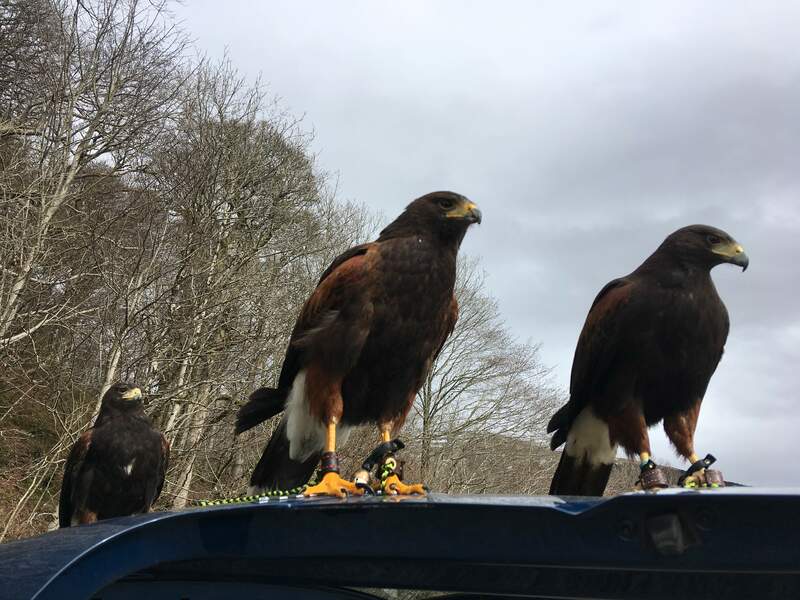 See a Harris Hawk fly through the woodland at various Argyll locations. Thrill at their speed, agility, grace and intelligence as you witness true Harris behavior. Learn to handle Harris Hawks safely, with the Harris' returning to your fist. Photo opportunities abound. This lasts about an hour. Adults: £45.00 for one. £35.00 each for two and £30.00 each for three and over. Children age 5 -16: £20.00 each. 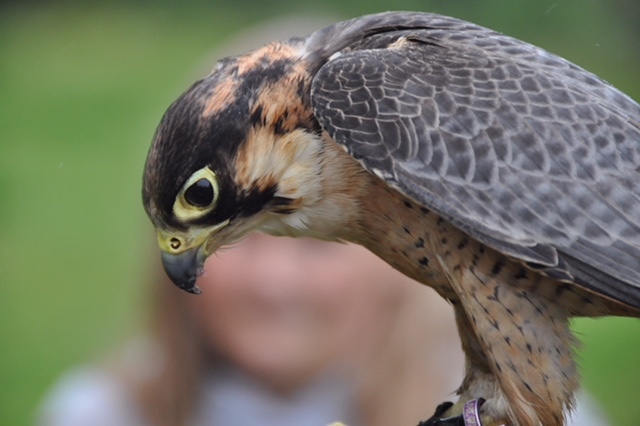 Falconry Experience 1: FE1 NOTE - All our experiences are carried out in the afternoon. Take part in flying 1 falcon.